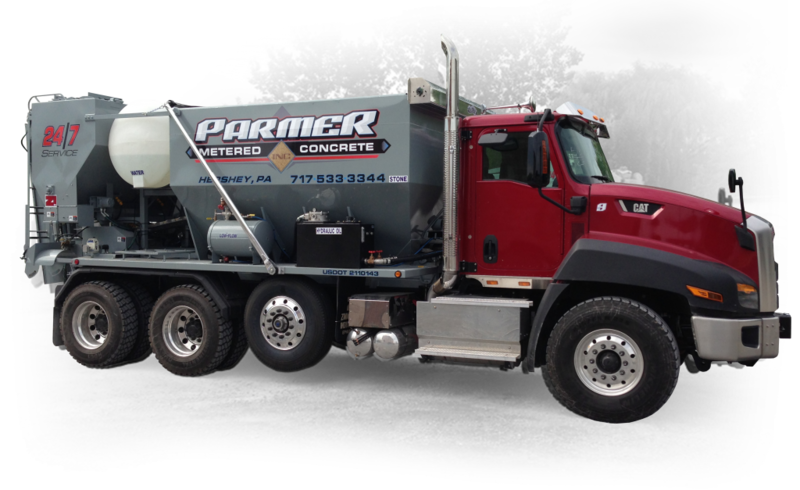 At Parmer Metered Concrete our goal is to provide dependable service regardless of the size of delivery. Since our concrete is mixed on site, this eliminates your need to over order and ultimately saves you money. Friendly & Reliable Service to 5 Counties and Beyond. Located in Hershey, Pennsylvania, we serve a 5-county area that includes Cumberland, Dauphin, Lancaster, Lebanon, and York Counties. Pay for only the concrete you use. 24/7 dependable service including evenings and weekends. Ability to pour different strength mixes using the same truck on the same job. Change slump throughout the pour, helpful when doing footer work.